Answer your door from anywhere in the world. With a Video Doorbell, and TELSCO Connect mobile app services, you can use your smartphone to answer your door from anywhere in the world. 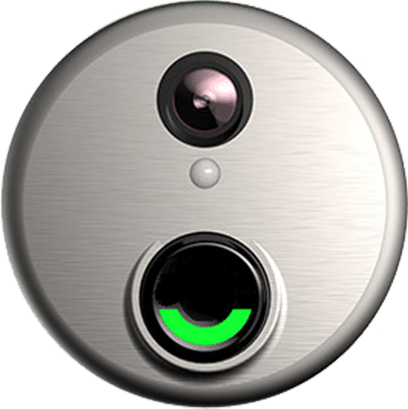 The Video Doorbell integrates an HD Camera and Digital microphone to ensure you will never be left wondering who is (or was) at the front door. 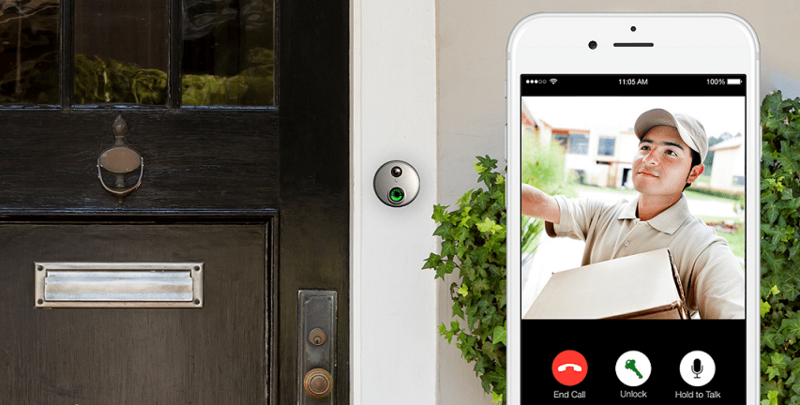 Unlock the door right from the App when you receive a doorbell notification. Have a package dropped off inside the front door, or save yourself a trip to the front when you are lounging in the backyard. Check live view video feed anytime from the app, or record clips automatically when the doorbell is pressed. Have a Two-Way conversation with visitors using your mobile device. Anyone who has even taped a note to the front door saying “Do not ring bell, baby sleeping!” will appreciate this feature. Right from the app, you can turn off the indoor chime when someone is asleep in the home – Alerts will continue to come to your phone if you get a visitor. Alerts can be sent to multiple users on multiple devices when the doorbell rings.